beans4fashion: Some like it BRIGHT! 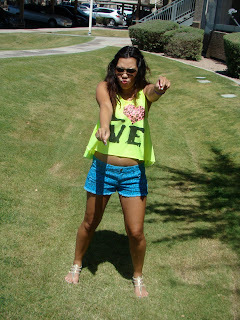 Have you noticed my new summer love affair with Neons? I snagged this top at Love Couture a store I had never been in and went in an found this. I think the bright color is fun for summer! 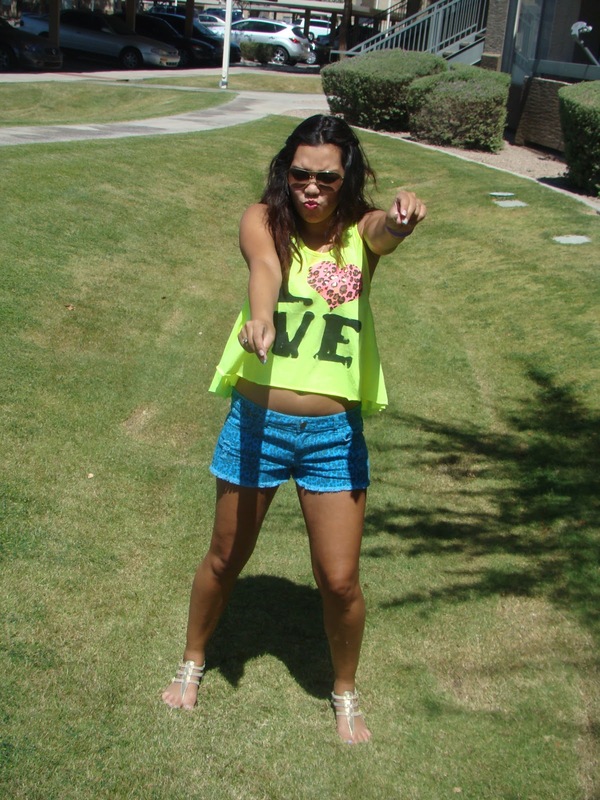 I paired it with these forever 21 leopard shorts and Steve Madden flats! I love my new name plate from Baublebar! Thanks!!! A score from Forever 21!